If you’re in the content marketing game, it’s easy to wonder about voice search, how it’s growing, and what it could mean to online marketers. Take a look at how voice search is improving and the challenges businesses will need to be ready for in order to stay on top. Don’t get discouraged, either, because worthwhile rewards await those who meet these challenges. First, an introduction or refresher: voice search is a function on most mobile devices today. It allows a user to say anything into his or her device’s microphone, which then uses voice-recognition software to turn it into text and search for it online. 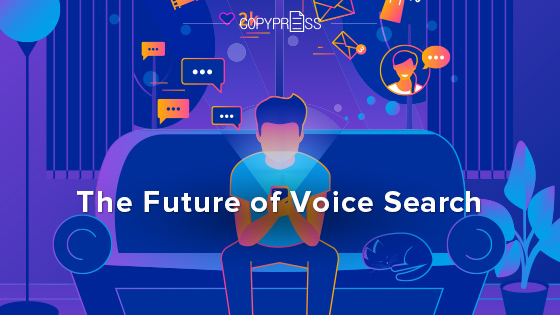 People between the ages of 25–44 are the most comfortable, frequent users of voice search, and the heaviest voice searchers average an annual income over $50,000 — this is no niche, low-spending audience. What makes voice search so exciting, however, is that it’s only growing from its already impressive scope. At the moment, Google doesn’t publish any information on which search terms were entered via voice and which were typed in, but between 2008 and 2016, the overall number of voice searches across all platforms increased by 35 times. It’s possible, following some trends, to expect voice search to account for half of all searches by 2020, similar to how video content is dominating traffic. The reason for this is because mobile users, an increasingly dominant group online, find voice search more convenient. The average person walking down the street with their phone might not be free to type out their search entry. Giving voice search commands is also more reliable than it was several years ago, and Microsoft has reported that its own voice-recognition software’s error rate is roughly identical to the rate of typos from manual human searches. The days of being misheard by voice-recognition systems are on their way out. 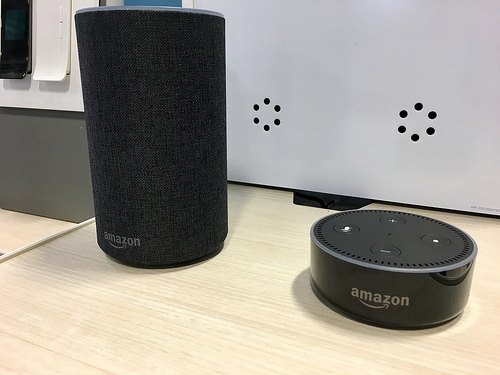 The growth of artificial intelligence (AI) devices like Amazon’s Alexa (used to direct their Echo home devices) means that searching online may become more graceful and comfortable. Helping to improve the average consumer’s familiarity with making voice commands, these systems rely exclusively on them. This becomes a cycle that feeds itself, as users add more data through searches, improving the recognition systems and making people more willing to try out and rely on voice searches. The biggest consequence of all this will be that certain search terms will become more laden with traffic. Thanks to incredibly complex and intelligent aspects of Google’s algorithm, people can ask questions that wouldn’t really work as viable keywords. For example, someone could ask Google, “What will the weather be like tomorrow?” Based on those words alone, there probably wouldn’t be many helpful results. However, Google can interpret that question and understand that the person wants a weather report for their local area, which Google will already know. The search results will change to something more helpful, with respect to this assumption. 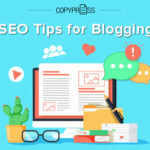 It’s wise to steer your SEO strategy more toward specific long-tail keywords — “Will it rain tomorrow,” for instance — without going into extremely precise detail. Think long-tail but not excessively so. Painstakingly specific queries that don’t sound like natural questions, such as “chance of rain this week Sarasota Florida,” will grow less common, and therefore, should be minimized from your strategy as time passes. A great source of long-tail keywords is those that add a location; since voice searches often take the device’s local area into account, and local businesses and places make up a large portion of voice searches today. For instance, if one of your keywords is “weather report in Sarasota Florida,” people who happen to be in Sarasota and are voicing queries like “will it rain tomorrow” are likely to be redirected to results for “weather report in Sarasota Florida.” Think about what your ideal customers are likely to ask an AI and the search result pages that AI would probably direct them toward. Voice interactions are typically very brief, often lasting only a few seconds before a person sees the first result or has it described to them by an AI. This means that the value of being the number-one result for a term has increased considerably. 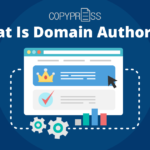 Nowadays, it’s still perfectly viable for a business to go wide with their SEO, finding a large number of relevant keywords and using smaller bids to rank somewhere within the first page for each one. 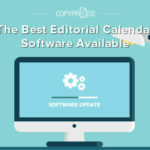 In the future, however, it may become vital to pick your battles and spend your budget and efforts fighting for a smaller handful of keywords. 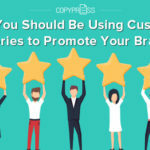 Unless you have a very high budget or a well-established grip on general, single-word keywords, it’s best to not throw too much effort in that direction, as the competition will only grow. One of the most common things the average voice user does is ask a question, to which the AI draws up the first and best result that clearly answers the question and instantly vocalizes part of it. You can try this yourself by asking a simple question that can be easily answered by looking it up in Wikipedia. You’ll hear the answer provided to you in the form of the first few sentences. At the moment, this aspect of voice search serves a general audience that just wants an answer. In the future, however, the machine learning of AI may help it understand the education level, personality, and preferences of its user and choose different results than what would ordinarily come up first. Put simply, it may help to create content that immediately answers questions your audience is likely to have. That said, stick to your own brand voice and style. 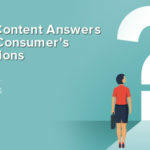 Eventually, AIs could help your ideal audience find not just any content that answers their questions, but your content because they’ve determined your writing style, reading level, article length, and more to be the most fitting to the individual user. There’s no crystal ball that will show us how voice search will change and influence SEO, but with current forecasts, it’s a good idea to focus more toward local, long-tail keywords and establish a top position over a smaller number of them to remain the first result of a voice search. An emphasis on content that concisely answers questions may prove rewarding as well. Work toward these goals and stay alert for any changes that shift the predictions, because only the businesses that respond early to large changes in the system will stay on top.